Can you say "Hooray!" for Witt & Sass Stamp Company! This is my first post on the design team for W & S. This first week of the release is all about unicorns... Chubby Unicorns specifically! Here's some information on the company so you can take a look at their website, blog and FB pages. 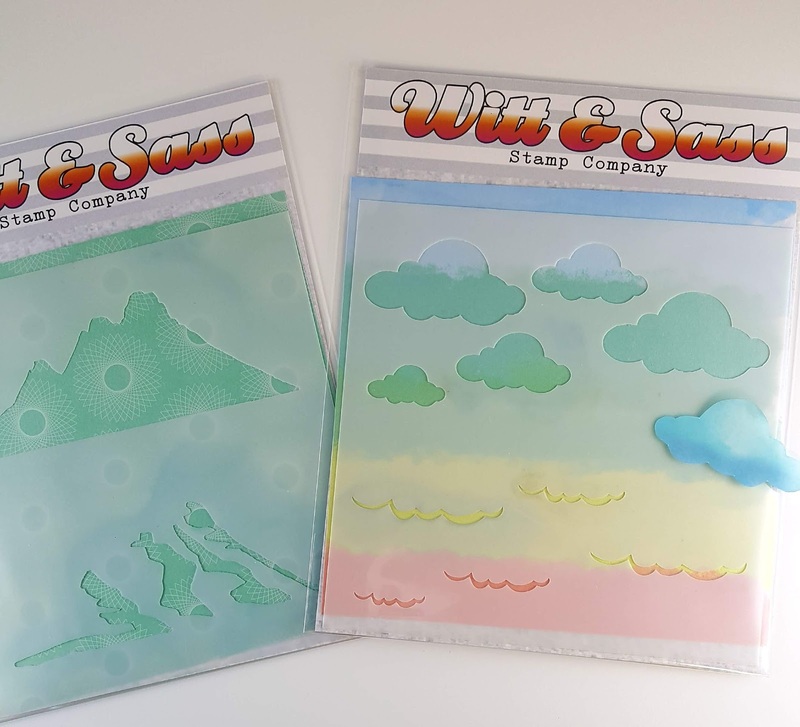 The company website is https://www.wittandsassstampcompany.com/ and there will be a link to the blog there as well. On Facebook just search Witt & Sass Stamp Company, request to join, and you are in! Instagram will be up by the time this posts, @wittandsassstampco. I believe there will be a page up on Pinterest as well. 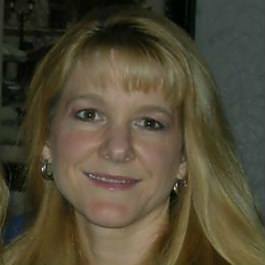 Amy Osburn Purdie, the owner and designer has been announcing the design team, and having fun giveaways etc. over the past 2 weeks or so. We hit 300 members on FB on Monday the 16th (above and beyond her expectations)! More recently we are over 500! So great work friends and followers of W & S!! Now that all that business is done, let's take a look at my card. I used 3 products from the release (each linked to the store). Of course, the 4x8 Chubby Unicorn Stamp set, the 6x6 Layered Cloud Stencil, and the 6x6 Background-Builder Mountain Stencil. Here are pictures of the W & S products I used on my card: (I put some colored paper behind the stencils to make it easier to see). It all started with me playing around with my new Ranger Gel Plate. I was experimenting with Carabelle Studio Rubber Texture and I was being somewhat random with the colors and textures, but this particular monoprint reminded me of a planet or moon. So I die cut it round, and thought it was a good jumping off point to starting my unicorn card. I then decided to airbrush the sky using some of the same pink color in the moon. I then created the mountains using the Layered Mountains Stencil using my Distress Inks, taking the cues for coloring it from the sky (I used blues and purples), then I fussy cut out the mountains. 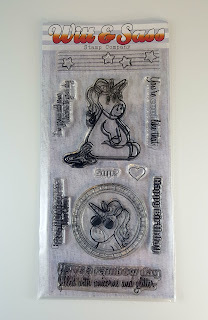 Next I stamped my Chubby Unicorn on some NSW 80# cardstock with Gina K's new black Amalgam Ink. I colored her in with a light bluish-purple body with pink hair/tail with tiny rhinestones. I knew I wanted to use the Layered Cloud Stencil, but I didn't want to have more layers to my card, so I decided to fussy cut only the unicorn's head out, like a partial die cut, leaving the rest of the cardstock for the clouds and water below. I actually used the cloud stencil in reverse. I traced the image of the cloud onto some vellum, cut it out, then used temporary adhesive to keep the cloud where I wanted it. 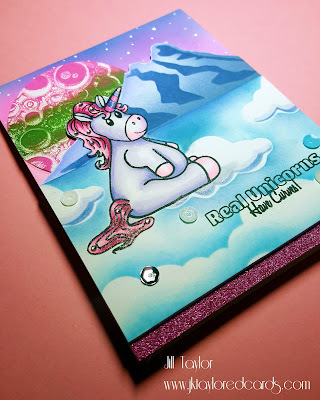 I then used my Distress Oxide inks to color around the clouds (masking off my unicorn of course). Once all 3 clouds were colored around, I used the stencil to add the shading at the bottom of the clouds with Stormy Sky Distress Ink and Copic marker BV00. The long cloud at the base of the card was made using a MFTs Mini-cloud stencil. I cut down the chubby unicorn panel so that the card would be 4.25" x 5.25" total when assembled. That allowed me to add the pink adhesive glitter ribbon from The Ton to my cardbase bottom edge. I adhered all my layers, using some foam tape behind the mountains and the panel with the unicorn and the clouds (however those 2 layers are nearly flush), with the unicorn's head flat on top of the mountains. Next I stamped the sentiment from the Chubby Unicorn stamp set in the same black Amalgam ink, added my rhinestones and sequins, then used some Dr. Ph. Martin's Bleed Proof White on a small paintbrush to the sky for some stars. Finally, some clear Wink of Stella to the unicorn's hair, horn and base of the clouds. That right there completed my card! 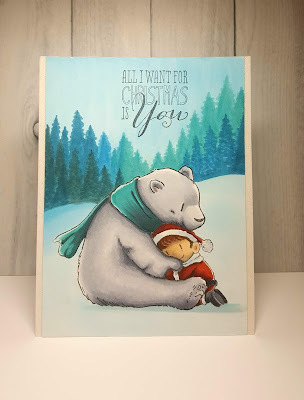 I had so much fun making this card, using the new products, and hopefully showing you the versatility of the products. To see more examples of these W & S products, and see what the other designers have made, visit the W & S FB page or blog. Their URL is: https://www.wittandsassstampcompany.com/ Also look for their page on Instagram- wittandsassstampco. However, if you'd like to see more of my creations, visit my Instagram page, I'm jktaylor911. 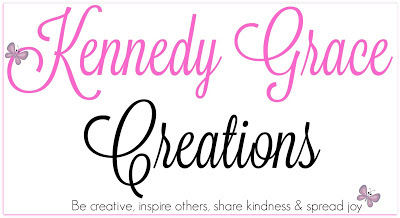 I post all of my creations there and that has the most extensive collection of my work. My blog unfortunately, only covers a portion of what I make. I hope you will visit me later this week here on my blog as I showcase 2 more cards made with this stamp set (Thursday and Friday). FYI, in general my cards get posted every Tuesday during the new release and company launch. Don't be a stranger, and leave some comments (I love to hear from you!). Wishing you many blessings and happy crafting! Wow! This is so creative! 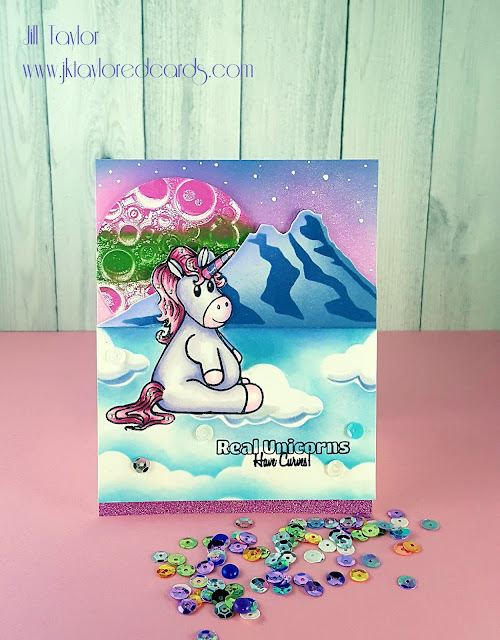 Chubby unicorn is as cute as can be and I just love how much you have on the card - so detailed!! Hey, thanks Kelly! I appreciate your sweet comments. Hugs!